CLEAR ZINC & BOAT-SIDED? YEP! By treating the UnderCloak Armor System with a CLEAR Zinc finish, you are protected from the elements when you do scratch it up. And the surface is paintable if you want to go custom. 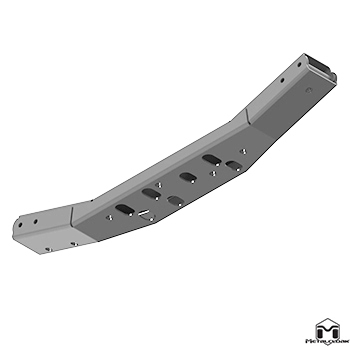 Thicker steel and additional holes for attachment points on the driver side, there is no better way to support and secure the protective plating for your Jeep.